A simple and sober appearing place with warm and comfortable rooms. 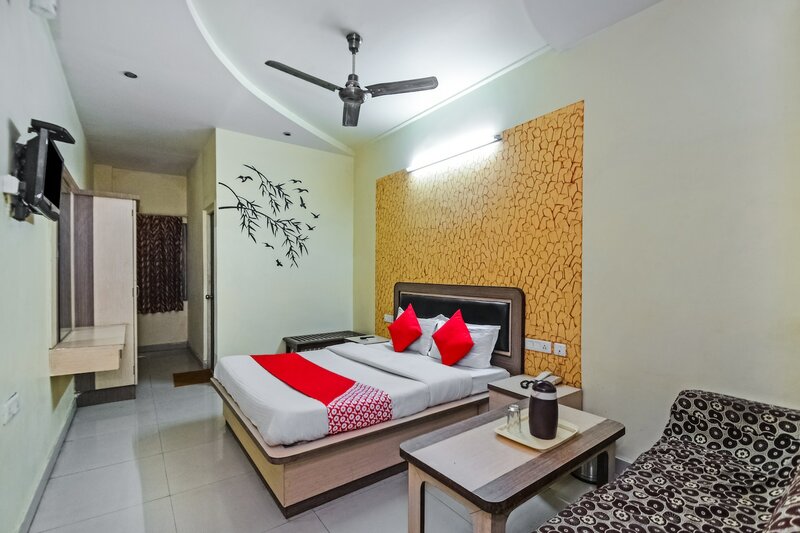 With a simple external structure consisting mainly of light reflecting glass panels, Hotel Prince is a fine hotel to stay at when one is visiting Ajmer. The bedrooms at the hotel have light colored walls and dark and light wood furnishings with some sections of the walls textured, lending the rooms with a cozy ambience. A geyser is available in each room for the guests to use whenever they want. The hotel also has a banquet hall that the guests can avail during their stay. Free Wi-Fi and power backup is provided by the hotel to its guests so that they can remain in contact with the rest of the social world. Other amenities offered by the hotel are parking facility and a card payment option.